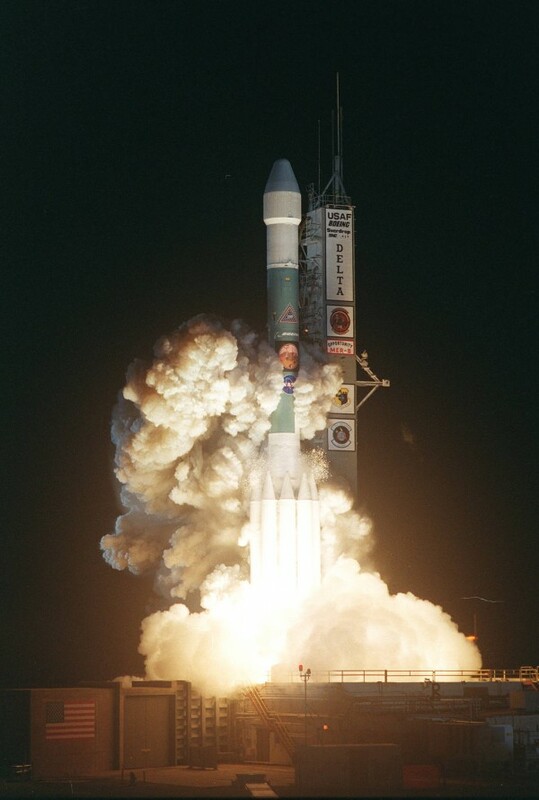 On July 7, 2003, NASA launched its second Mars Exploration Rover, Opportunity, aboard a Delta II launch vehicle. Opportunity’s dash to Mars began with liftoff at 11:18:15 p.m. EDT from Cape Canaveral Air Force Station, Florida. The spacecraft separated successfully from the Delta’s third stage 83 minutes later, after it had been boosted out of Earth orbit and onto a course toward Mars. Opportunity and its twin rover Spirit landed on Mars in 2004 to begin missions planned to last three months. Both rovers far exceeded those plans. Spirit worked for six years, and Opportunity is still active. This month, operators plan to drive the Opportunity rover into a valley, where it will be active through the long-lived rover’s seventh Martian winter, examining outcrops that contain clay minerals. The rover is working about half a football field’s length away from entering the western end of “Marathon Valley,” a notch in the raised rim of Endeavour Crater, which is about 14 miles (22 kilometers) in diameter. A new video compilation of images from Opportunity’s hazard-avoidance cameras between January 2004 and April 2015 shows the rover’s-eye-view of its Martian marathon covering 26.2 miles (42.2 kilometers) from its landing location.